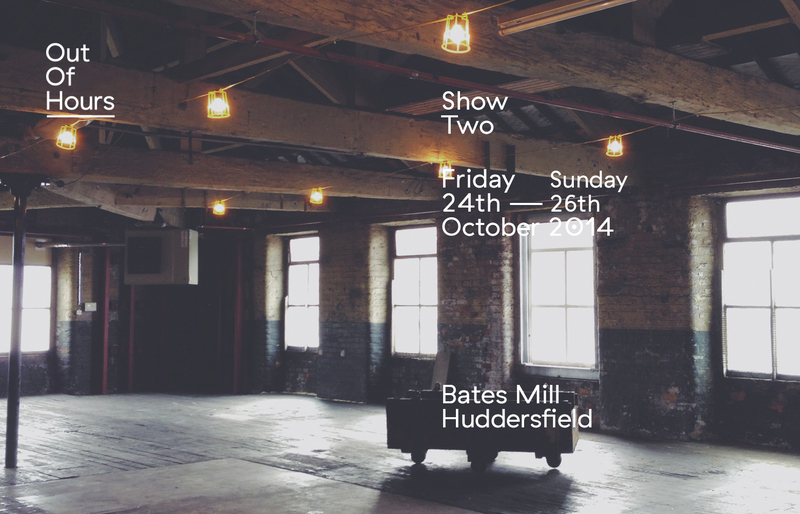 Out Of Hours: Show Two took place last weekend from Friday 24th — Sunday 27th of October. Set in the beautiful loft space of Bates Mill, Huddersfield it had been transformed into a temporary art space that welcomed over 250 visitors over the three days. The collective showcased a new body of work based on “place”; with each of the six artists, designers and craftsmen responding to conversations, research and observations of the surrounding areas of Huddersfield and Yorkshire. Responses ranged widely from film, sculpture, prints and painting. We were once again involved with the planning, branding and showcasing of new work for the exhibition, which culminated in our first ever typeface “Ernest”, which you can read more about here.